Q: Could you provide our readers with a brief introduction to BTCDraft? A: BTCDraft is a gaming, esports, betting and gambling platform that encourages users to invest safely. With an integrated exchange, we encourage users to diversify their winnings and earnings into various other projects that interest them to limit losses. We are a gambling and betting system also and users can participate in games and esports to regain any losses. We are the first esports project to be fully hosted on the blockchain because we believe in honest gaming. For example, High Scores will be on our ledger. Q: How did you come up to the idea for BTCDraft? A: We were tired of throwing away our BTC at projects that either didn’t start, flounced at the first hurdle, or ran away with all our crypto. We wanted to do something about it. The year was 2014 and any of you that were around then can probably remember the trust-minefield our world was. We wanted to create a solution to this problem, and not only that, be educational and helpful to our community. Most people play games. 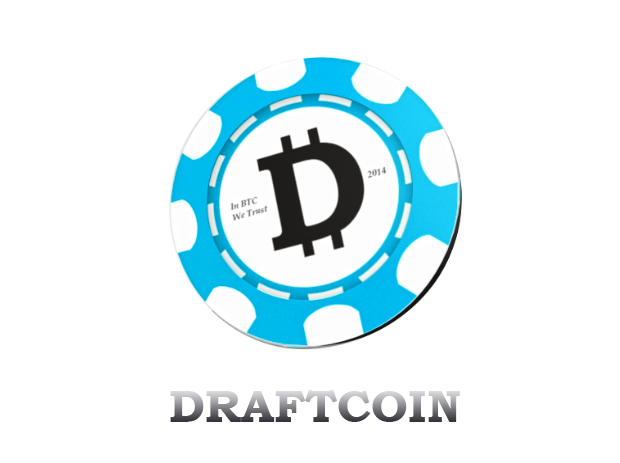 It’s a big industry; we wanted people to earn from their gaming rather than the other way around, so you don’t need to be an elite gamer to earn Draftcoin (DFT). Q: What types of games will you host? A: Initially Arcade games but we’re open to suggestions. We really, really want to work with interested game developers that would like to see their games hosted on our site for a share in the profits. We don’t want to stop at a few games and then just give up. We want to host a whole range of games, but we need help, and we’re interested. Q: Where do you see the cryptocurrency market going in 2018? A: We wouldn’t like to speculate for definite, because we like to work with what we have in the moment, and we’re no market analysists. But if you’re casually asking me my opinion on this question then I’d say that we’re excited. We think it will moon at some point this year. We see wall street brokers talking about another stocks and shares market crash, and doom and gloom is right around the corner. People are going to want to put their money in something recession proof, right? Why not crypto? To the moooon! But this is just my opinion. I am no fortune teller. A: We’re currently building our Casino, and we’re also trying to create a marketplace for our community to buy and sell sports memorabilia in exchange for Draftcoin (DFT). These are in development right now. We’re working hard on them. As for the distant future we will be focusing on growing our platform. We want to act as a gateway for new people to cryptocurrency too. I understand how much of an uphill struggle this will be, but our team is highly proficient and dedicated.